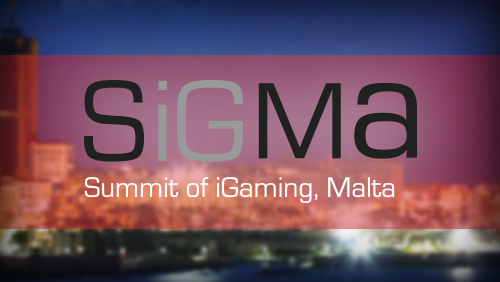 Speaking at the launch of SiGMA, the Malta Government Parliamentary Secretary for Competitiveness, Jose Herrera said that he is truly honoured to launch the iGaming Summit being held at St. Julian’s, a hub for iGaming companies, an undisputed cradle of remote gaming companies in Europe. Dr. Herrera added that this Government is committed to ensure that the remote gaming sector continues to grow and flourish and has pledged to create a hub of excellence worldwide. The Government is also committed to sustain the various entities and operators in the maritime sector to prosper and expand their business and employ more people. In his address, Joseph Cuschieri, chairman of the Malta Lotteries and Gaming Authority (LGA), praised this initiative that will showcase Malta as an igaming hub to the rest of the world. In his own words, “the LGA believes that similar events are important for the industry and if well planned, they can improve/sustain Malta’s reputation”. He went on to elaborate that that such expos provide excellent networking opportunities. 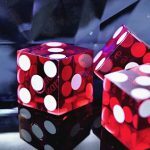 “Malta already enjoys a solid reputation, and is host to an excess of 250 iGaming companies, over 450 licenses. 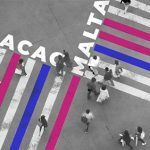 Malta’s iGaming market employs a solid workforce of 8,000; making the country an ideal platform to host such an event. With an attractive lotteries and gaming jurisdiction as well as a solid taxation system in full compliance with EU directives, the country is also host to many quality affiliates and expats who have settled in Malta and decided to combine an ideal working climate with unrivalled quality of life”. Organiser Eman Pulis explained the aims and objectives as well as the reasons behind this unprecedented event; “for the past seven years everyone involved in the igaming industry in Europe has been asking for an event of this calibre in Malta that brings together all and sundry. 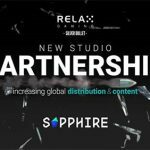 We embarked on this ambitious project and, with the right team of independent experts, bringing in the most experienced panel speakers and exhibitors”. “SiGMA 2014 will feature a five-star, state-of-the-art exhibition space for both interactive gaming suppliers looking for new and existing operators as well as operators looking to attract affiliates and marketing partners. The 3,600m2 multifunctional venue, The Bay Arena, is currently being transformed into the foremost facility in Malta for the hosting of high end events through a two million euro investment by owner Eden Leisure Group. We are proud to be among the first to use these new state-of-the-art facilities. 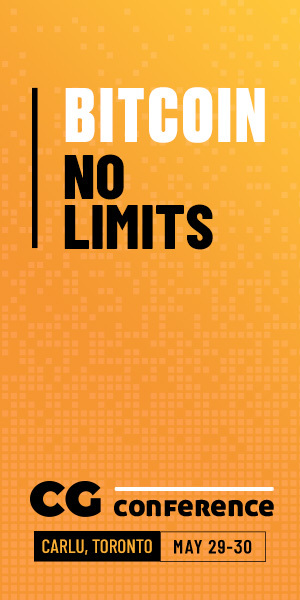 The exhibition part of the summit is almost sold out already, six months away. Situated in St. George’s Bay and annexed to the 5 star InterContinental, the venue is a stone’s throw away from all accommodation options. Malta’s ambassador to Finland, Michael Zammit Tabona emphasised on the need to have networking platforms such as SiGMA where one can promote Malta as an entrepreneurial destination with an unrivalled quality of life, not only to the strong Scandinavian market, but to the rest of the remote gaming community worldwide. 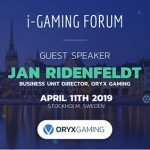 One of the main speakers of the event, CEO Ory Weihs, whose company XLMedia has recently been public listed, had these words to say; “With Malta being an important and well regulated iGaming jurisdiction in Europe, a conference like SiGMA was an absolute necessity. I look forward to participate and share a speech at this event”. Similarly, LeoVegas CEO Johan Styren, elaborated; “As a fast growing gaming venture licensed in Malta we are happy to see a dedicated gaming conference established down here. We are looking forward to participating and exhibiting at SiGMA”. Fellow organiser and affiliate Dennis Dyhr Hansen from Power Media Group went on to laborate, “Johan Styren (CEO, LeoVegas), Ory Weihs (CEO, XLMedia), Simon Hammon (CPO, NetEnt), Ulrik Bengtsson (CEO, Betsson), Kasper Kau (CEO, Spigo), Angelo Dalli (CEO, Bit8), Nikolai Livori (CEO, YoBetit), and Ralph Tegtmeier (SEO Specialist) are a few of the excellent lineup of speakers for this igaming summit that is set to bring the entire gaming community under one, state-of-the-art roof. We’re investing heavily to ensure that the world’s best leaders in the industry are present for this two day event. 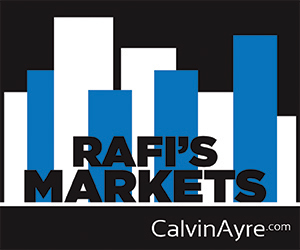 We’re currently in the process of confirming some big names from South Africa, the South American and Asian markets”. “Registration for these high-quality conferences is usually quite steep. However, we want to take this opportunity to reach out to a wider audience and our reduced fees will be accessible to all, thus guaranteeing an intensive, two-day netwroking environment. The event will be free for affiliates. 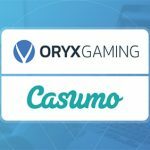 The goal is to bring together the entire iGaming community, from affiliates and operators through to regulators and vendors. SiGMA is also an excellent event for networking and job searching”. So book the 31st October and 1st November in your diaries, for if you’re looking at a new event in the region where this industry can meet, learn and do business, look no further; SIGMA ticks all these boxes.